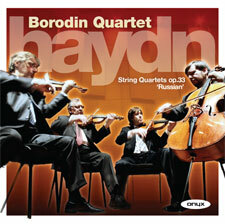 Haydn's six string quartets op33 written between 1778 and 1781, are among his happiest and most humorous works. Musical jokes abound, and the term 'Scherzo' appears, replacing the Menuetto. These works marked an important development in quartet-writing. Haydn wrote that he had composed them 'in a new and special way'. Any traces of the old superficial 'galant' style have vanished.